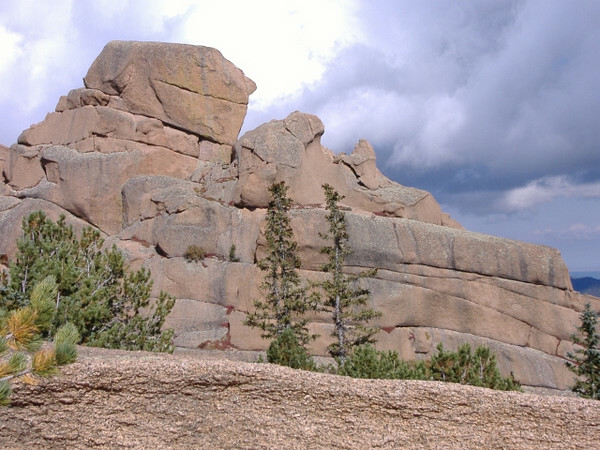 Photos from The Crags hiking trail near Divide, Colorado featuring granite rock formations around Pikes Peak. 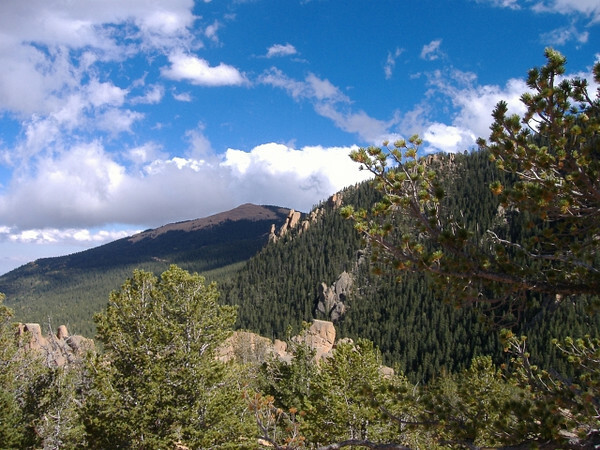 This scenic and moderate hike is 3.2 miles round trip with an elevation change of 650 feet. 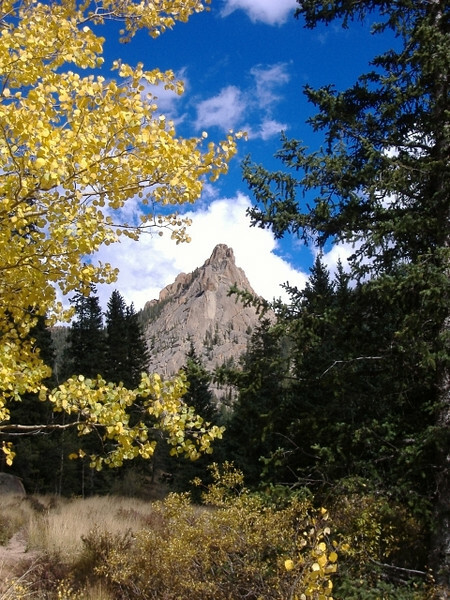 Golden Aspen trees and green spruce trees framing granite crags. Massive granite formation. For a sense of scale note the full grown evergreens at the base. 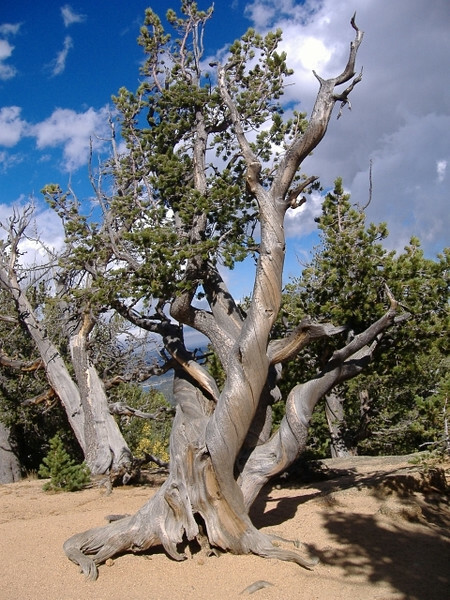 Bristlecone pine tree at the end of the trail near 10,000 feet in elevation. The end of the trail still 4,000 feet below Pikes Peak summit in the distance.